Why The Retreat for your special day you ask? 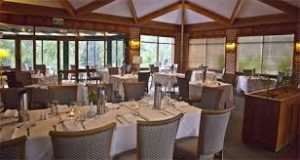 Location: Set at Wisemans Ferry you can enjoy the magnificent views over the beautiful Hawkesbury River contrasted by the towering escarpments of the Dharug Nartional Park. Award winning service and cuisine. 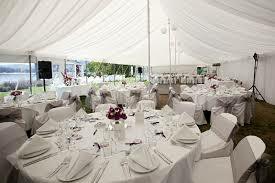 All your needs wrapped up in one amazing venue – Ceremony, Reception and lodgings for guests. They have created the very special Riverside Wedding Garden, combining the natural surrounding beauty with the landscaped grounds of the Retreat. 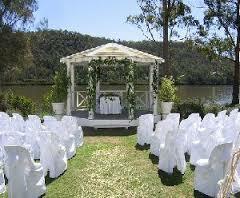 A perfect and enchanting setting for your ceremony. 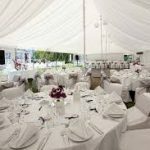 You can choose to have your reception in the marquee within the garden, providing a beautiful setting for up to 150 guests for a seated function or 200 for a cocktail party. Or alternatively you can choose their award winning Riverbend Restaurant which can seat up to 100 guests. Whatever your needs and desires, you can create your unique style. They have a great area for the photo booth with ample room for your guests to get together and try on the props, create those crazy poses, laugh out loud and just thoroughly enjoy themselves. So, come along to the free Open Day, enjoy the light refreshments, check out the services on offer – everything you need in one place! And, of course, don’t forget the specials on offer on the day. But, most of all, get rid of that stress, endless researching and multiple quotes to compare. You could tick off so many ‘to-do’ items in just one day! Come along, say hello. We would love to meet you.